Dillon did AWESOME for his first race! I can't even begin to tell you how proud of him Ron and I are! It was his first time actually racing with other cars, but he did great and even made a pass. It also helped Ron to see the areas that he and Dillon need to work on the next time they practice. Once he gets that stuff down, this boy will be fast! Dillon's second race went well. He definitely improved in a few areas since Tuesday. He started the race on the pole and then had a minor wreck while passing the leader that sent him through the infield. After that, he had to restart in the back of the field. He did get some cotton candy after the race, so he said it was a good day overall. Dillon did great in his last 2 races! He started 2nd and finished 3rd (out of 4 cars) on Tuesday 7/16. 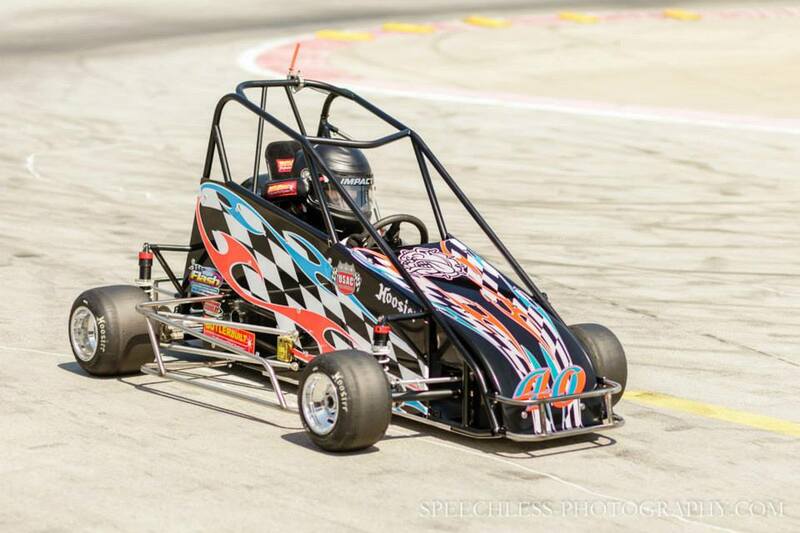 He started 4th and finished 4th (out of 4 cars) on Saturday 7/20. 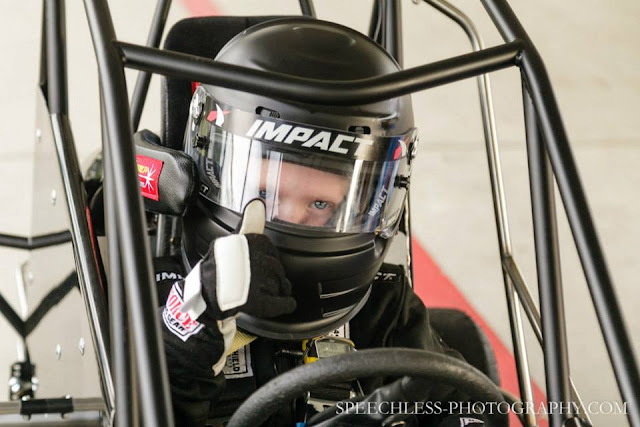 We had a great practice day on Sunday and are heading back to the track for the Tuesday night races today! See you at the track! Had such a great day at the track today! Dillon got his trophy from his first win and finished 2nd in today's feature. The the kids got to enjoy some fun Halloween games and then "trick or treat" from trailer to trailer. Dillon had a ball and Ron and I got to enjoy the company of all the wonderful families that we have met at NCQMA! 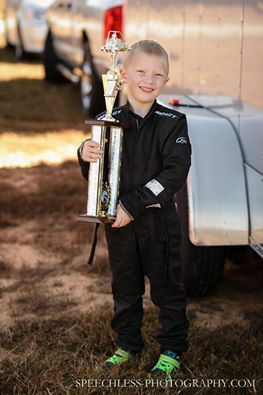 Ron and I are so proud of Dillon for finishing up his first racing season at NCQMA this week at the Fall Nationals! Congrats to all the racers! We feel so blessed to have found new friends in all the wonderful families that we have met at the track over the course of this past year!